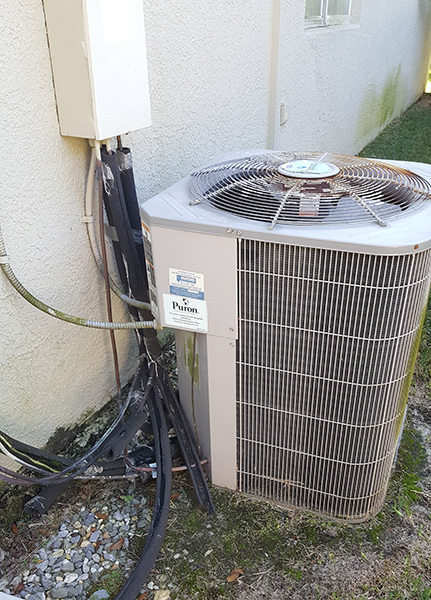 Since 1976, we’ve installed and replaced thousands of new air conditioning systems throughout Tampa Bay. 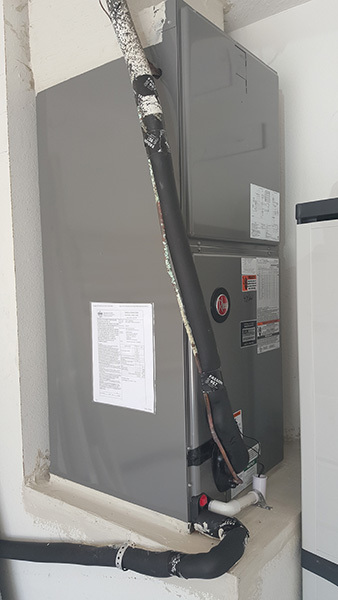 This gives us unique insight when installing a system in your home. 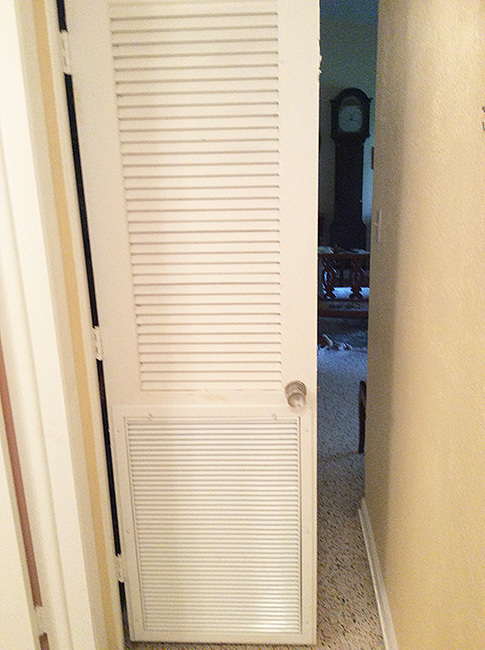 Almost every installation has some kind of quirk which requires the contractor to go above and beyond to get it right. 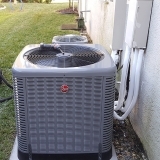 We make sure our installations are exactly how we’d install them in our own homes. 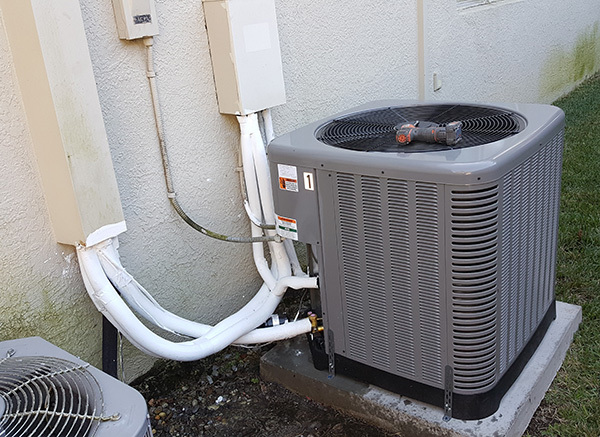 This may require additional fabrication of platforms or enclosures, but this extra work improves your comfort and the life of your system. We are different. We will impress you. 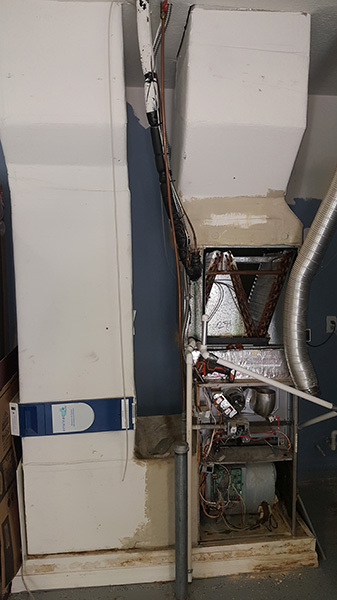 Here are a few examples of some recent systems we have replaced. 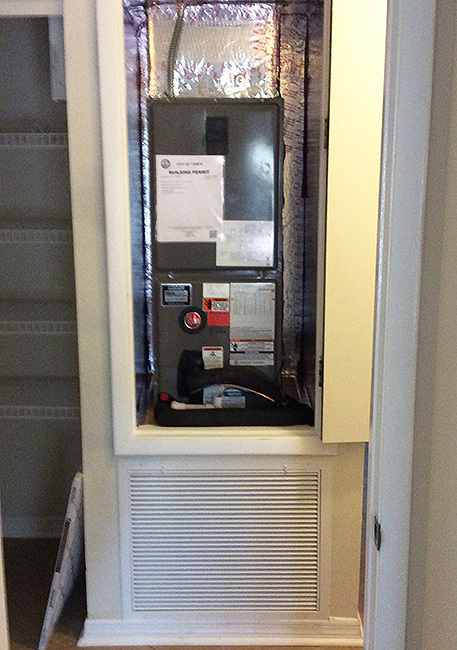 This is our signature closet HVAC system installation. It includes a brand new plywood platform with ductboard lining top and bottom. 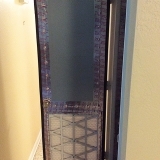 The closet door is sealed with foam tape and the new filter grill is installed in door. 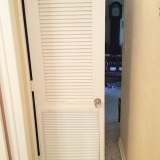 This is done to ensure the closet and coils stay clean. 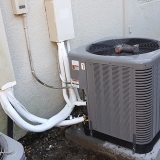 Unfortunately most contractors do not bother with any of this, and just replace the system itself. We are different. 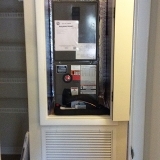 This is another closet HVAC installation with a 3/4 door . 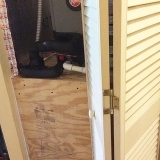 The closet is lined with ductboard top and bottom. 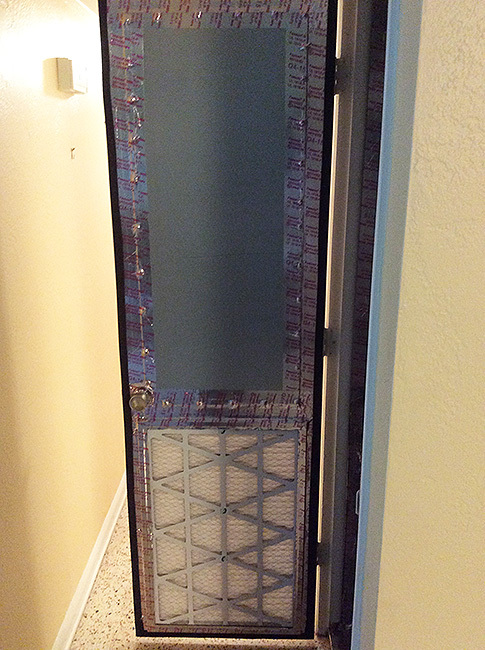 A larger filter grill has been installed in front to ensure proper airflow and efficiency for new system. Also the stand for unit is reinforced with new 3/4″ plywood. 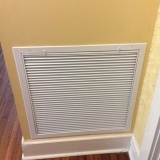 This air conditioning system installed in a closet has a new enclosed platform and a new filter grill in the louvered door. All of our enclosed platforms are made with 3/4″ plywood and 2 by 4 wood. 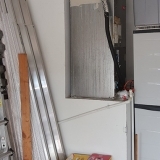 Also the closet is lined with ductboard top and bottom. 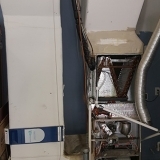 Often other HVAC contractors will just reuse the old worn our platform and do not bother with the ductboard. At REM, we do it the right way. 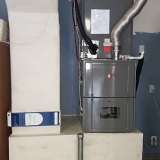 This air conditioning & heating system is installed in a closet with an enclosed platform with the filter grill on wall. All enclosed platforms are made with 3/4″ plywood and 2×4 wood. 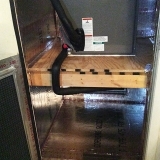 The closet is lined with HVAC ductboard on both the top and bottom. 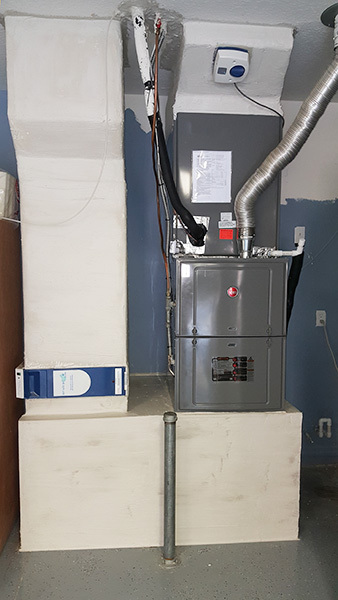 This a dual AC System with the air handlers installed in the garage on a new 3/4″ plywood topped stand. 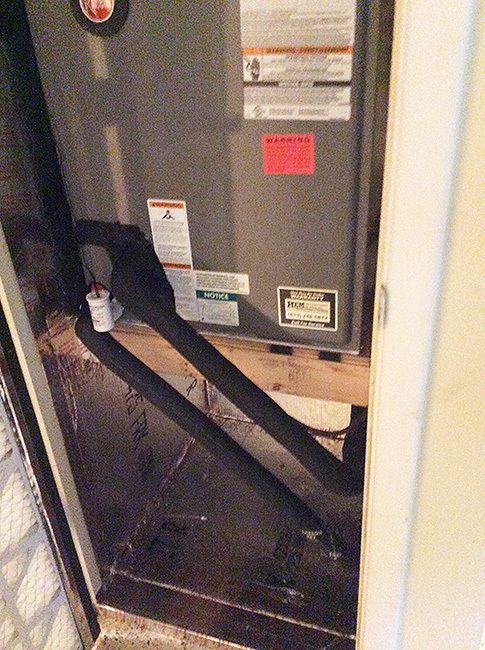 All of the ductwork and the stand was sealed with mastic. 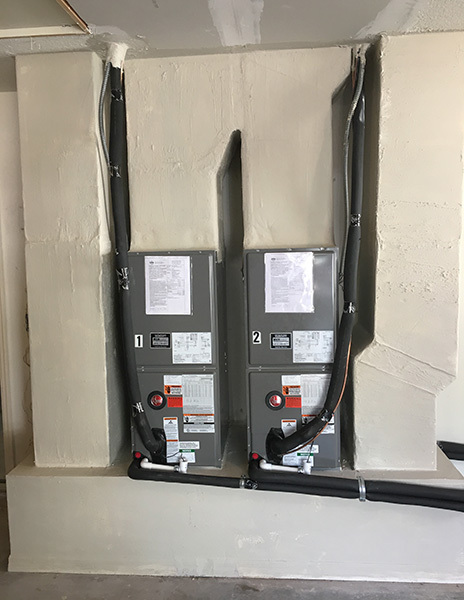 New drain lines were installed. 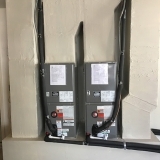 New outside units were installed with new copper lines and chases. 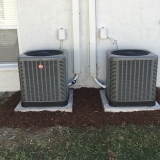 We also mulched around the condensers to complete the install. 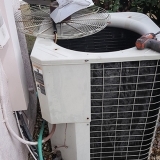 These are before and after photos of a system replacement in Sun City, FL. 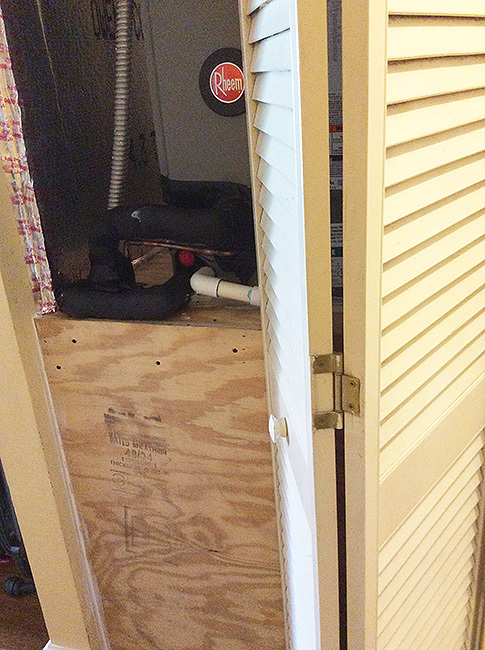 The air handler is in garage and new 3/4″ plywood top was installed. 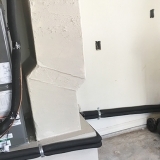 The stand and ductwork were sealed with a mastic coating. 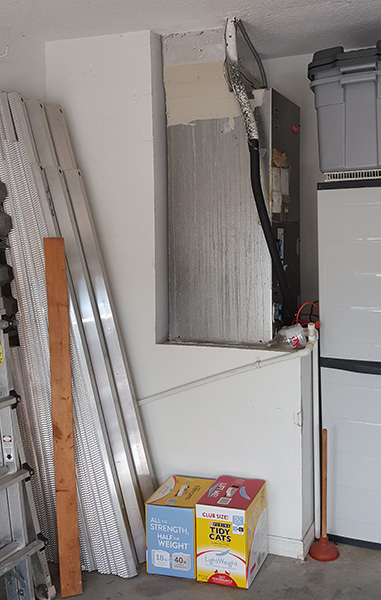 The new drain line was insulated in garage with new float switch . 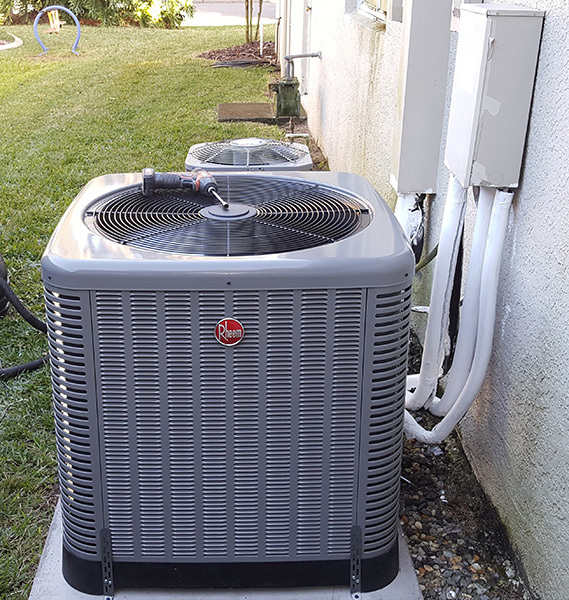 The outside condenser unit was installed on new hurricane slab. 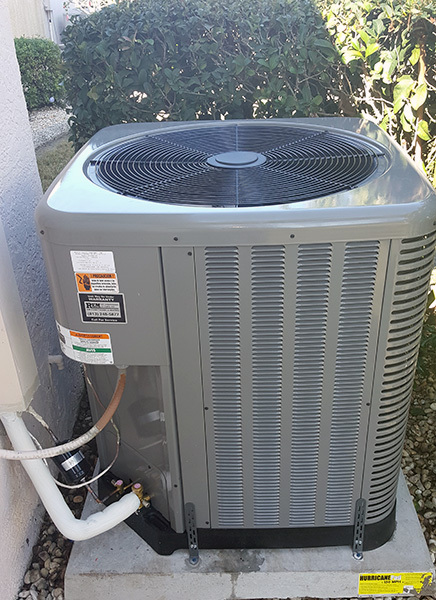 A freon filter was installed and the lines were flushed for new freon (R-410A). 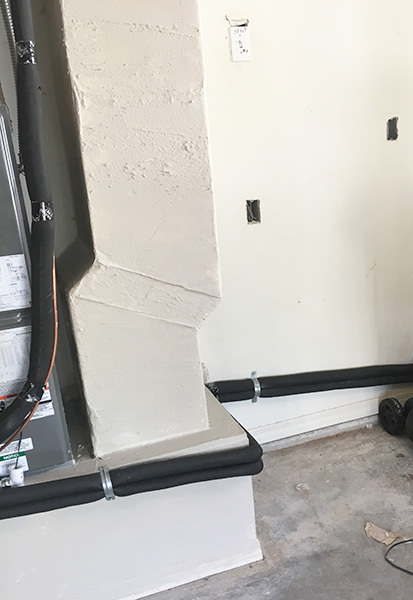 The line chase was sealed and UV protectant was installed on copper lines. 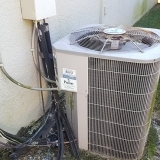 This is HVAC installation was in Fishhawk Ranch, Lithia, FL. 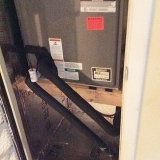 We replaced a gas furnace system with new gas furnace, new case coil, and a new condenser. 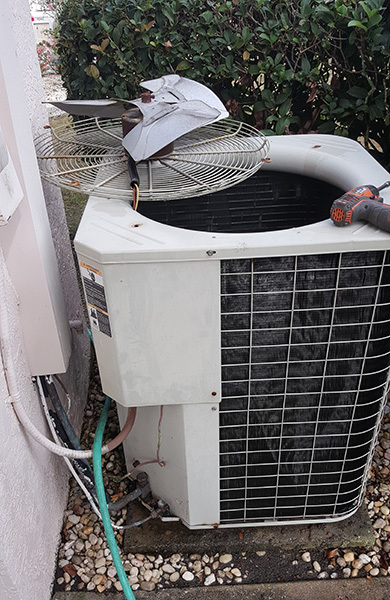 The entire stand was replaced due to water damage and had to be raised so the new unit could get proper air flow thru new unit. The new stand and ductwork were sealed. 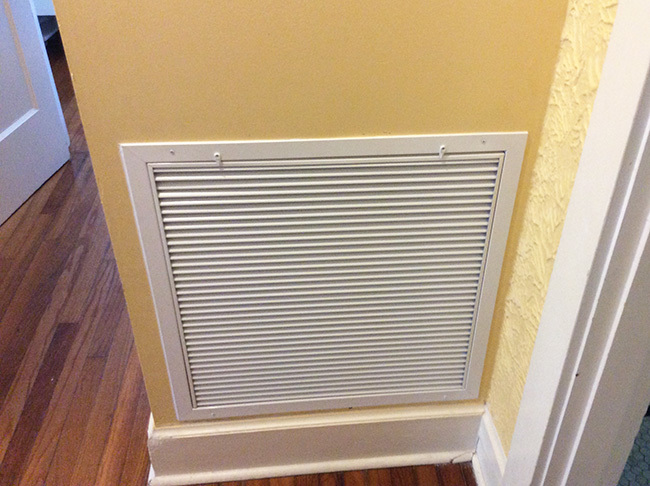 An electronic air filter was installed in return ductwork. 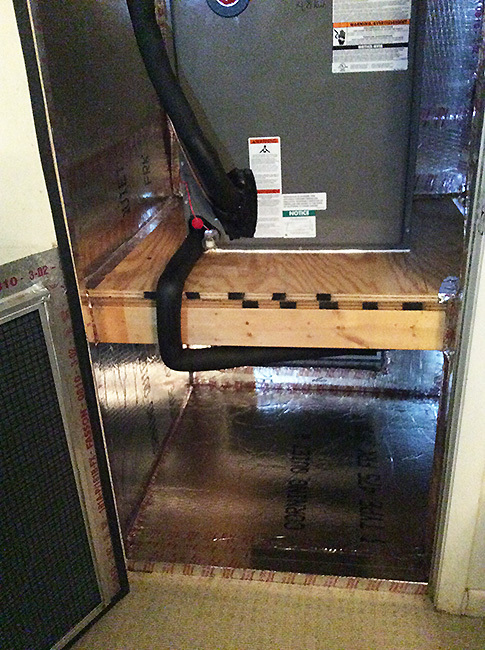 An air purification system installed in supply ductwork. 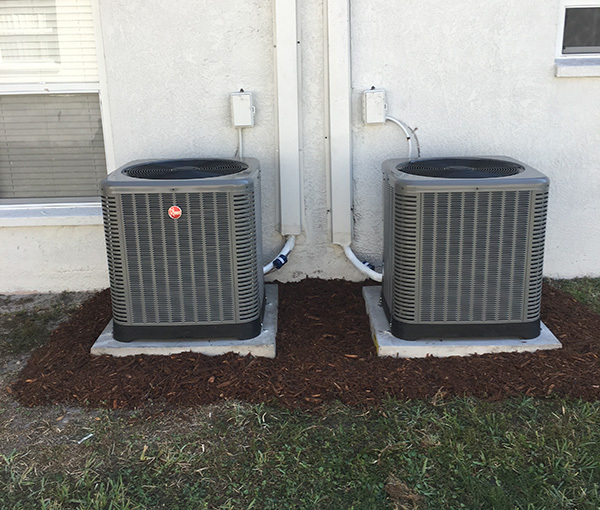 The new outside unit was installed on new hurricane slab. 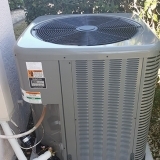 The freon lines were flushed and a new filter drier was installed. 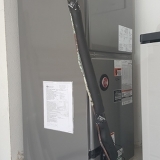 The copper covering (armaflex) was replaced and sealed with UV protectant. Line chase was sealed tight.